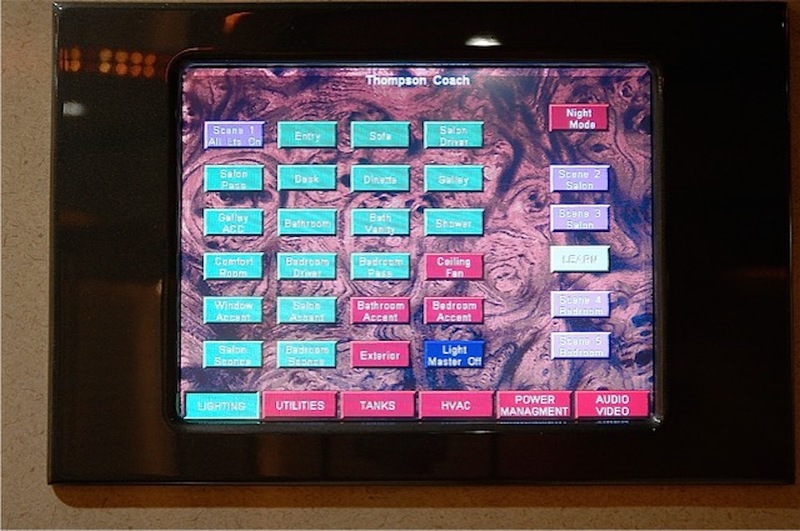 For those who are not familiar with Thompson Coach, they build a very user friendly coach and incorporate very sophisticated yet intuitive controls, and systems. 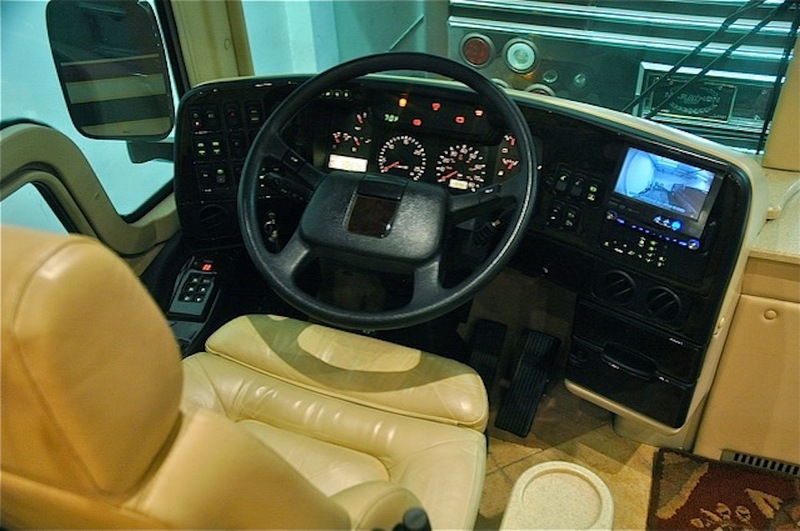 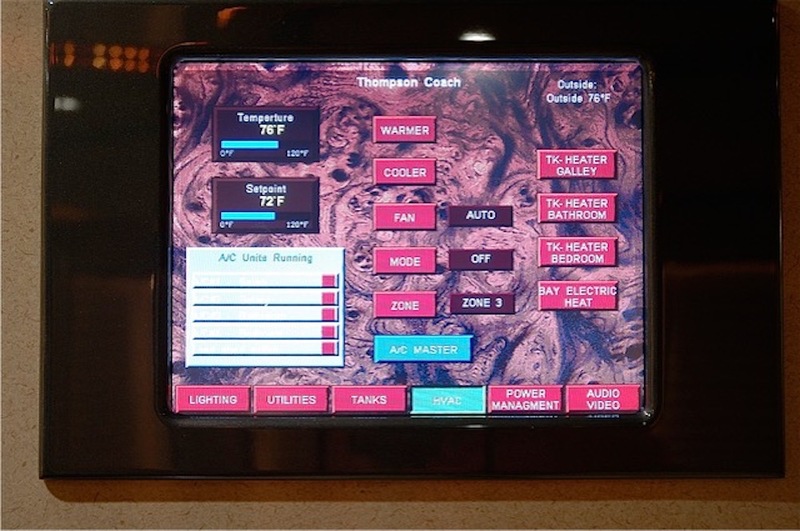 The "Easy Touch" programmable logic control system is used to operate virtually all coach systems with convenient, multiple display panels. 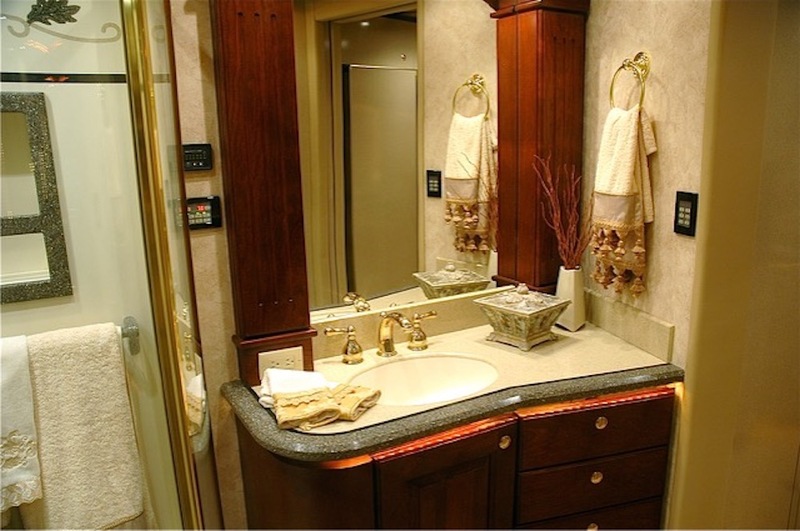 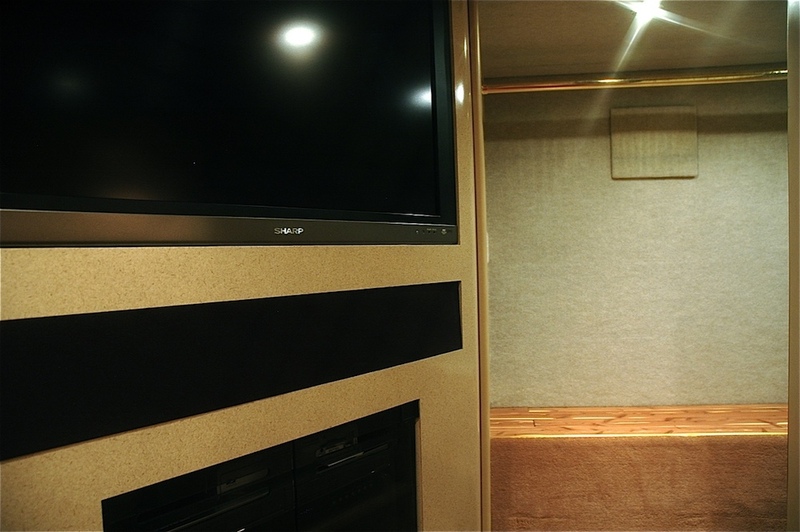 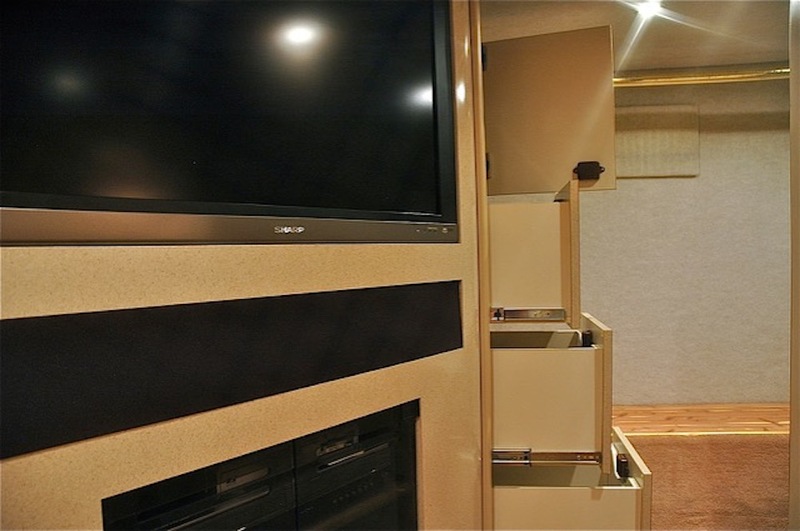 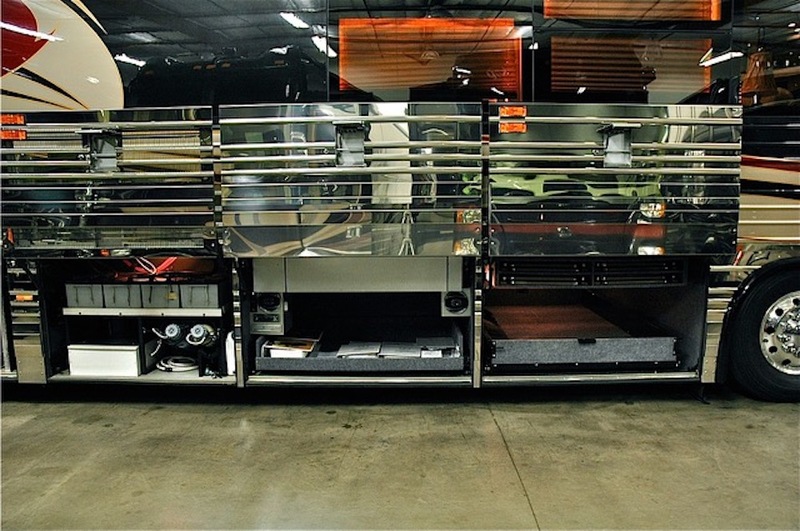 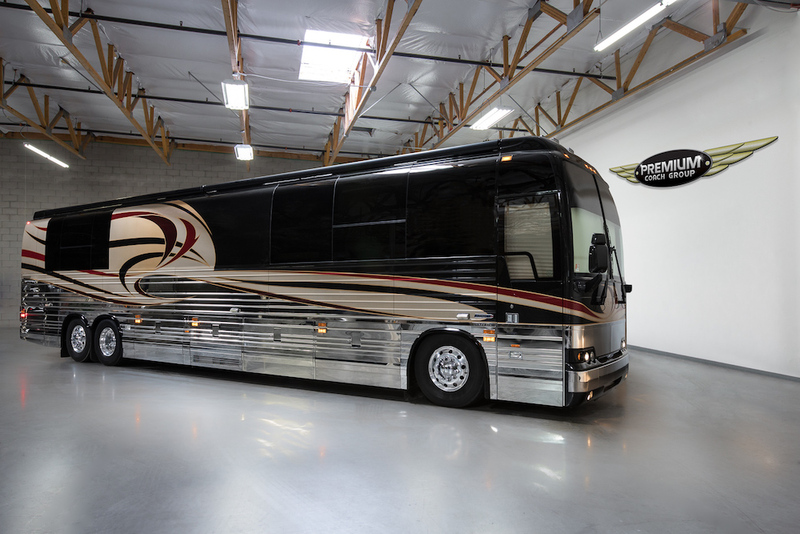 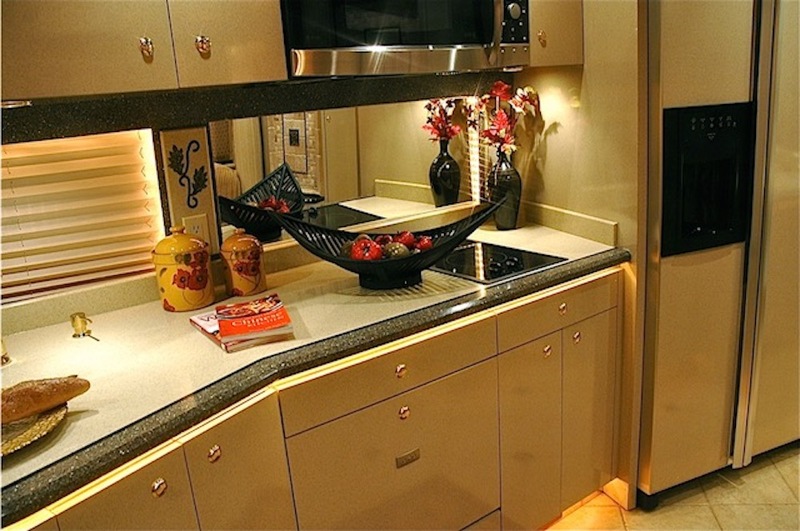 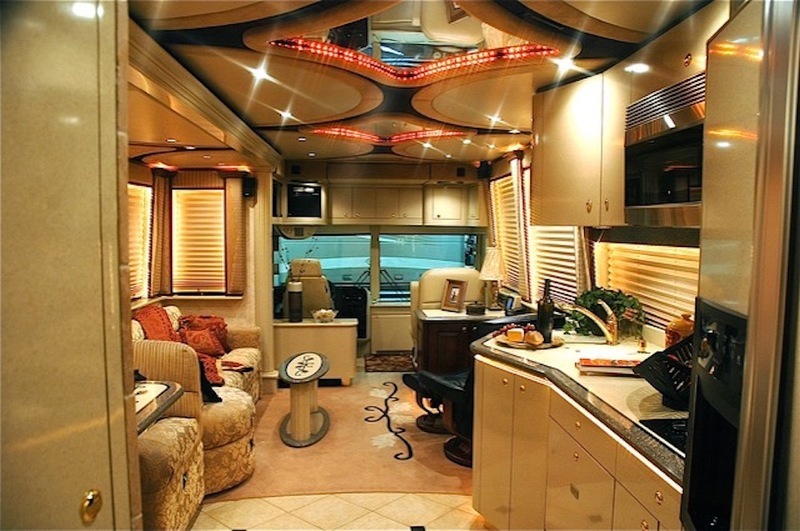 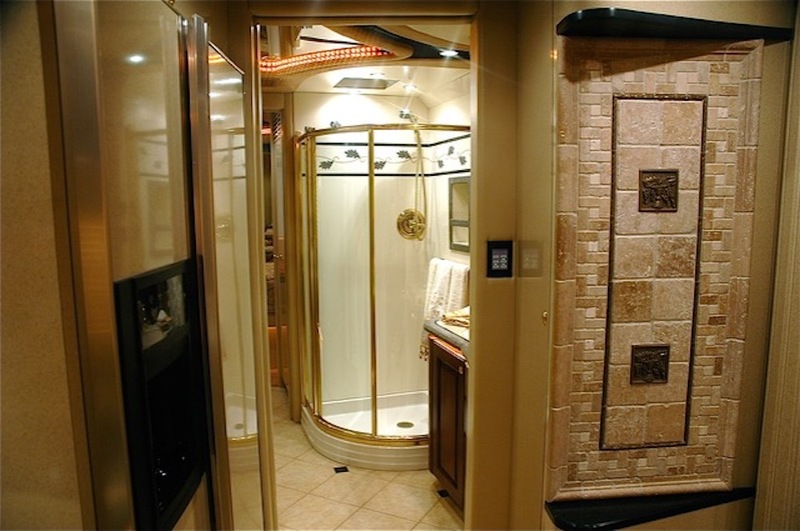 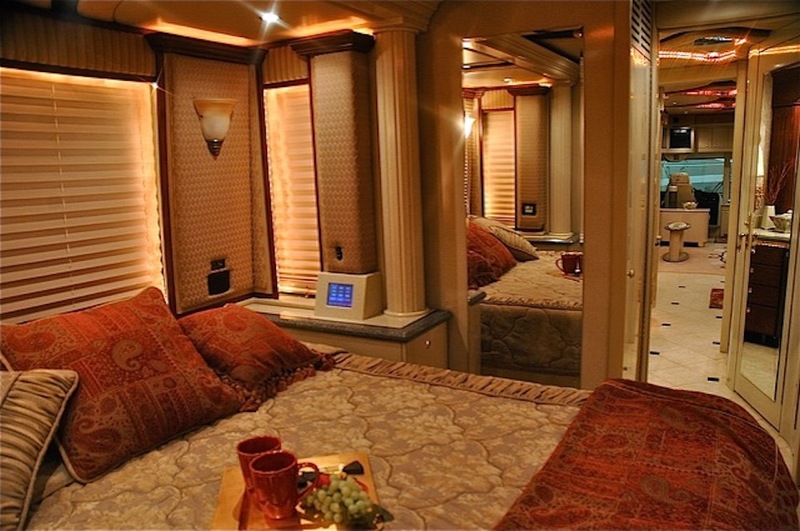 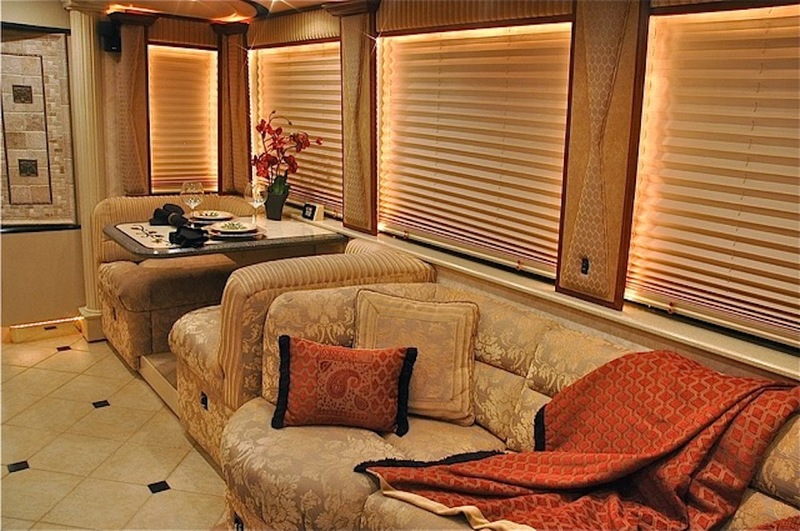 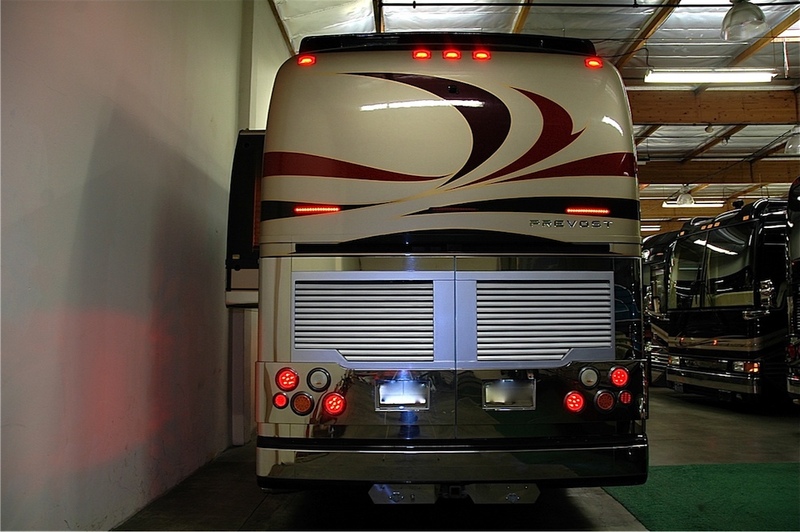 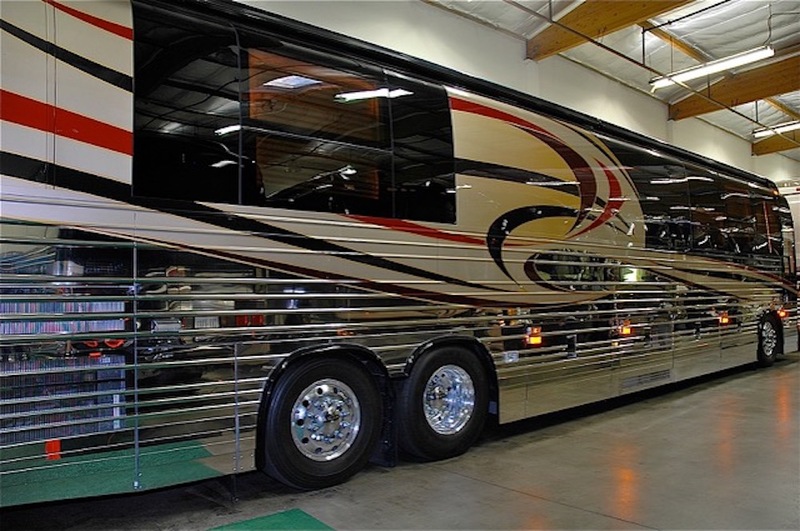 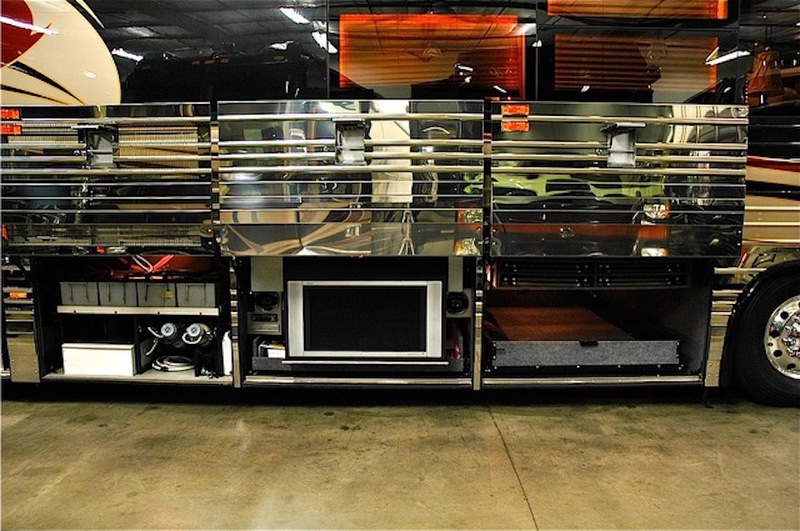 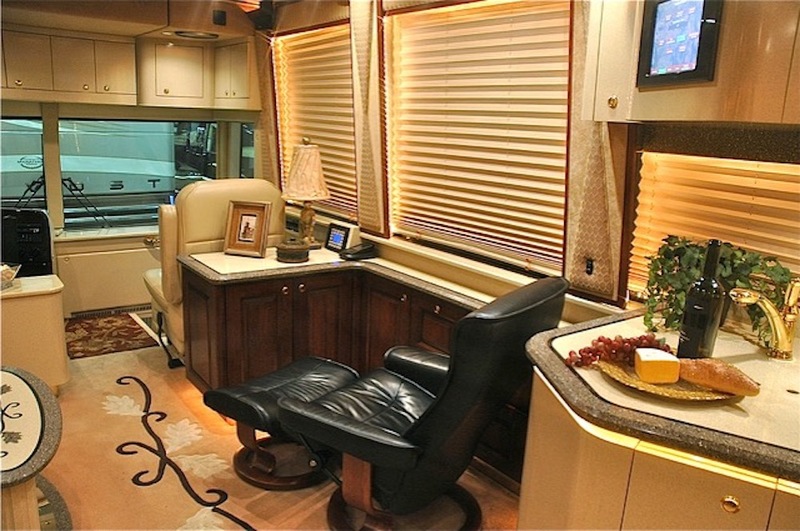 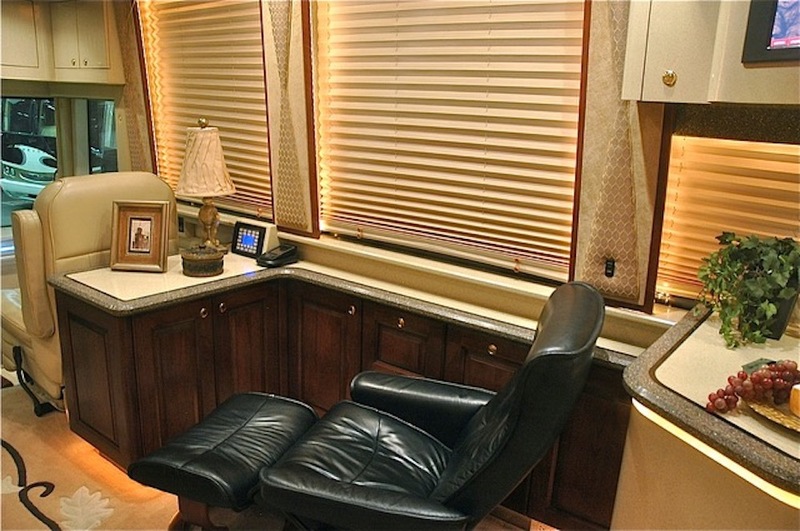 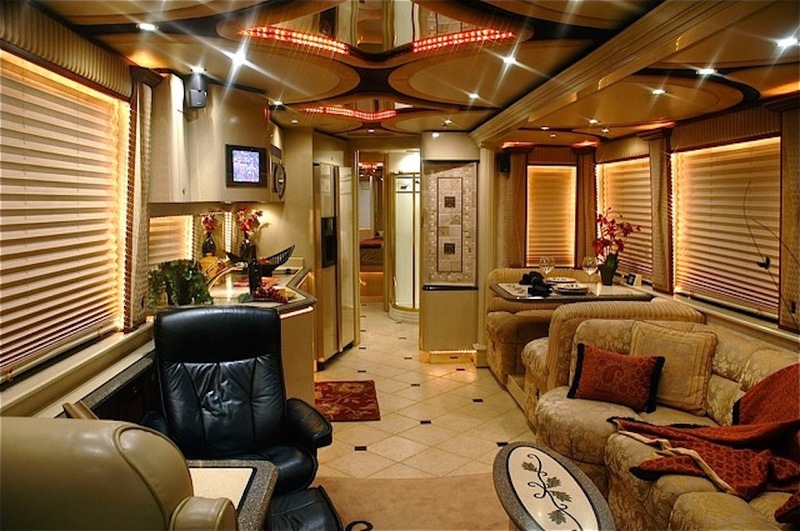 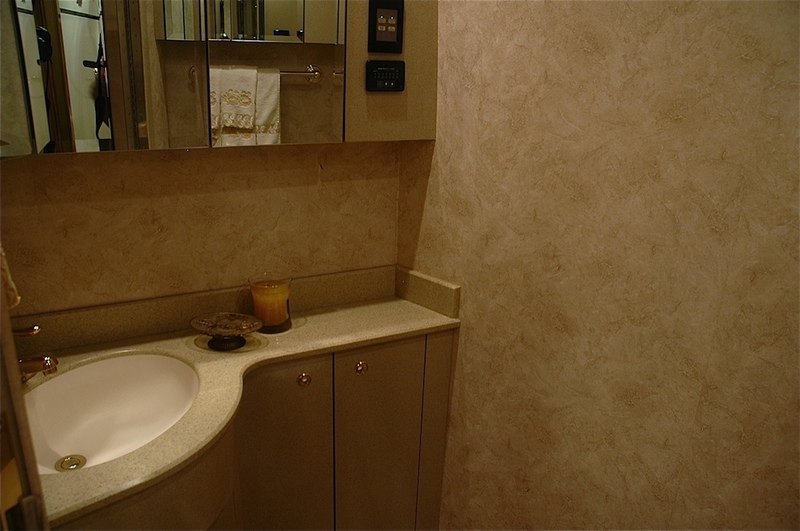 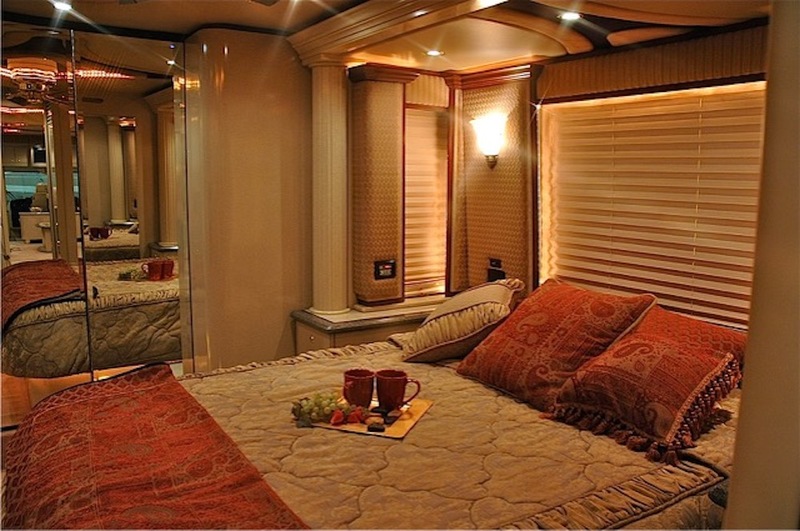 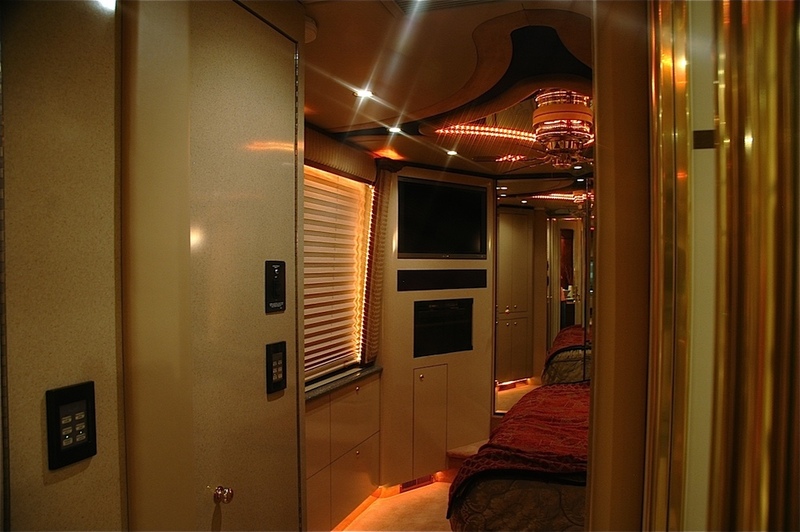 This elegant coach includes, a 20KW turbo / diesel genset on slides, 2-3,500 watt inverters, 6-8D AGM house batteries, 4-13,500btu A/C units w/heat pumps, Aqua Hot, roof top lateral arm awnings, a swing down 37" LCD salon TV, in-motion DSS, GPS Navigation, articulating basement LCD TV, stacked W/D, and so much more.